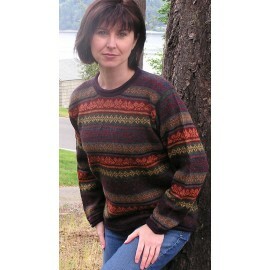 This easy lightweight sweater has an alternating cable stitch and open weave design. This easy lightweight sweater has an alternating cable stitch and open weave design. 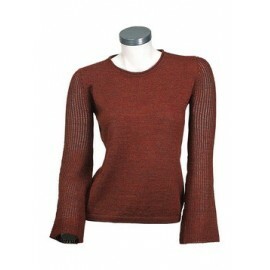 A figure flattering tunic length sweater that hugs the body. The hem and sleeves have a smooth textured wide band with a stitched edge design. The neck is banded. Comfortable and silky soft. An art made sweater.